« How About A Tweet about Twitter Overloaded? I wonder whether it’s because the host’s recent decision to utilize suPHP that causes the upload problem… But either way, the upload works with the WP upgrade and no point trying to find what’s wrong of something that has been fixed. Been noticing the Spam Karma2 thingy at the footer, probably something that might consider removing? Heh.. didn’t notice the footer. 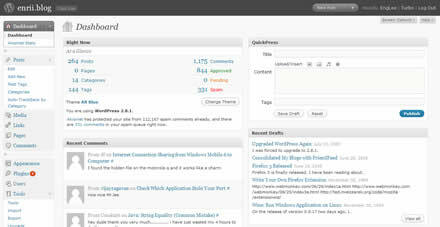 It might be good the give acknowledgement to the plugin writer. But I’ll remove it based on reader’s request!